Are you crafty? Do you have an interest in biology? If so, then we have some wonderful activities for you to consider. 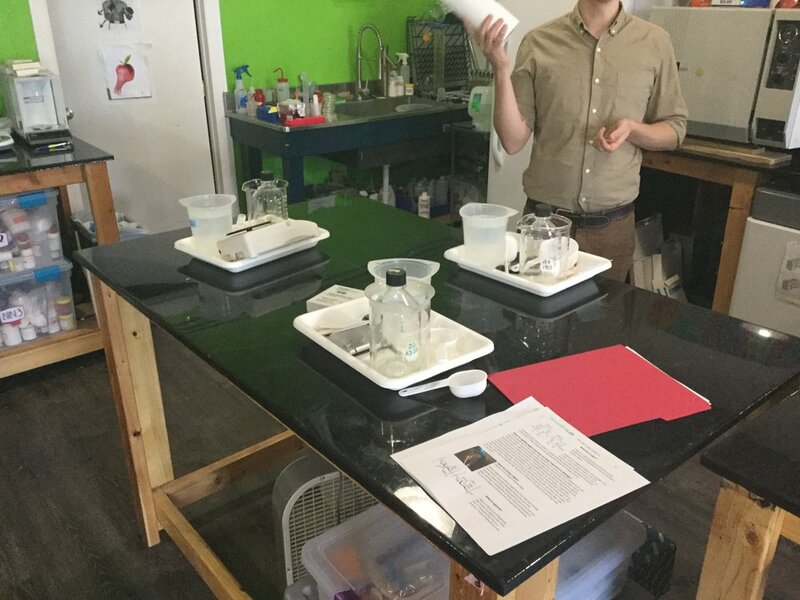 The first (of hopefully many) BioCraft Workshops at SoundBio Lab was held this past weekend - to the great enjoyment and amusement of our attendees. The inspiration for this creative workshop started when one of our co-founders stumbled upon the Balloon-less Water Balloon Kickstarter project. He decided to back the activity and in return, received a kit. The Kickstarter project was well supported, with 250 donors, and almost $10,000 worth of funding. Clearly they were onto something cool and fun! Led by Dr. Orlando de Lange, we spent an hour creating water balloons made from seaweed. The key ingredients behind this fun activity are sodium alginate (a polysaccharide in seaweed that supports cell walls) and calcium lactate. 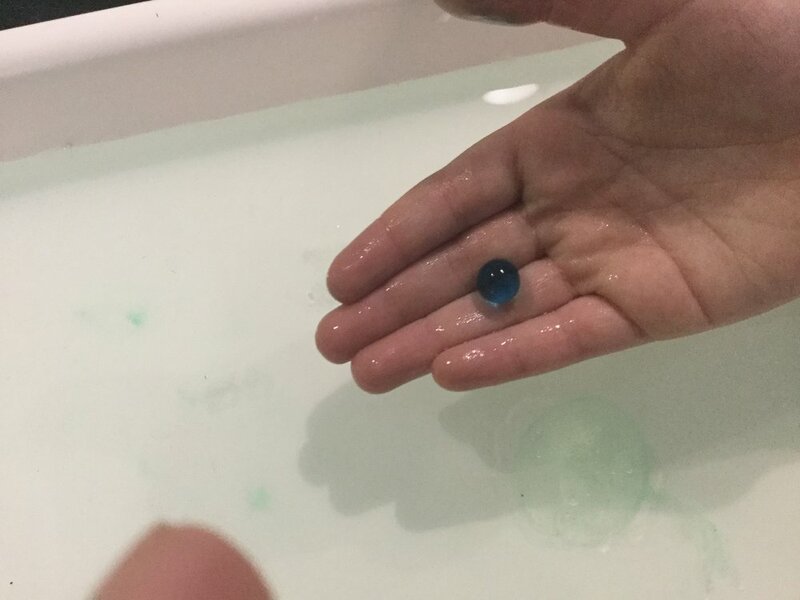 When you place a spoonful of sodium alginate into a calcium lactate bath, this causes it to create a spherical shape with an outer, gel-like membrane. The membrane forms because the calcium atoms from the bath, displace the sodium atoms from the sodium alginate. The bio-balloons do ‘pop’, and are a ton of fun to play with. They are also non-toxic, and biodegradable. It turns out, the process to make these gelatinous balls is a well-kept culinary secret called Spherification, used by a number of innovative chefs around the world. This chemical process has also drawn interest by environmentalists, who are actively looking for alternatives to plastic bottles. Have an idea for another BioCraft activity? Please reach out to us info (at) sound.bio - we want to hear from you!